Team Suzuki Press Office – March 17. Yoshimura Suzuki Factory Racing started the 2014 AMA Pro Superbike season with style as newest team rider Roger Hayden raced his Yoshimura Suzuki GSX-R1000 to two second-placed finishes at Daytona International Speedway in Daytona Beach, Florida at the weekend. Team-mate Martin Cardenas also celebrated a podium-finish at the season-opening round, while Yoshimura Suzuki’s Chris Clark picked-up his best performance to date with two fourth-place results. For new Yoshimura Suzuki rider Hayden, Daytona was a success – albeit bittersweet in some ways: He started the weekend by taking his second-ever Superbike pole position after setting the fastest qualifying lap, then in both 15-lap races, Hayden got good starts and turned flawless laps to battle for the lead; only to finish an extremely close second. Although Hayden admitted to some disappointment, he was pleased overall with his first race with the Yoshimura Suzuki squad. Cardenas battled right there with Hayden for the first few laps in the first race, but then tucked the front end and went down. Undaunted, he rejoined the race in 20th place and worked his way up to 12th before the race’s end. In the second race, Cardenas was again right there with Hayden, swapping positions and battling for the lead before finishing in an impressive third place. Rounding-out the Yoshimura Suzuki crew, Clark celebrated his best career Superbike finishes-ever at Daytona. The Las Vegas native got good starts on his Yoshimura Suzuki GSX-R1000 in both races, put his head down; and turned consistently-smooth laps to bring home two solid fourth-placed results. 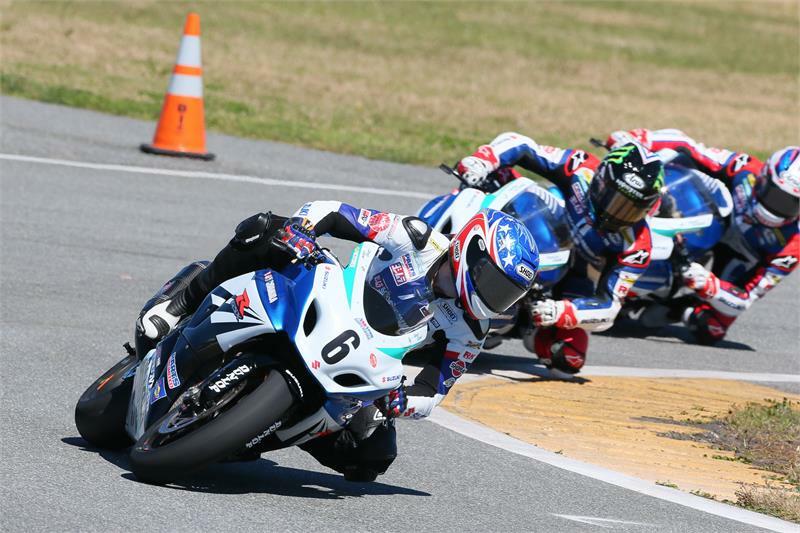 Yoshimura Suzuki Factory Racing’s next event is the second round of the 2014 AMA Pro Superbike Championships on May 30th – June 1st at Road America in Elkhart Lake.